Branding and messaging can make or break the success of consumer product marketing. At Rapport International, we have the translation, interpretation and multilingual marketing services you need to communicate effectively, and translate your brand and message accurately. Success in consumer product marketing depends on your ability to “speak” to the customer in the right voice, with the right words. It takes a special linguist to understand the complexities of creating and marketing consumer products. Rapport International’s linguists pay attention to the differences between products, the importance of messaging and clear communication. In addition, they make sure the materials are culturally appropriate so your company doesn’t end up as a “funny marketing fail” on the internet. You need expertise and accuracy in all consumer product translations, whether it’s for technical documents, packaging or marketing translation. Our highly trained and experienced translators and interpreters provide the high quality services you need for the continued growth and success in all your target markets. 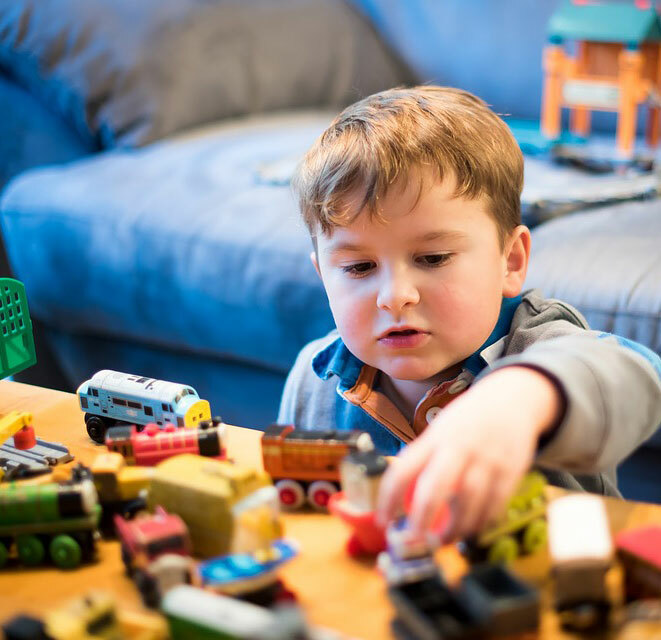 What makes our multilingual consumer product services different? Rapport International makes sure that the translators or interpreters you work with understand specific local or global needs so that your materials and message are accurate. At the same time, we serve as advisors on cultural questions to make sure you are communicating in a culturally-sensitive manner. Manual, or instruction, translations must be 100% accurate in order for a product to be successful and to avoid costly and embarrassing errors. If your customer can’t use a product successfully, your product will fail. Our linguists are highly trained and experienced in user manual translations for consumer products. They make sure all your translations capture the meaning and are easy to follow. Learn more about document translation. You expend a lot of time and effort developing a marketing message and strategy for your products. Yet, a message developed for one market may fall completely flat when it is not localized for a new market and culture. Rapport International understands the complexities of creating marketing strategies for consumer products. We specialize in capturing and adapting the meaning of your message to resonate with the target audience and make your marketing culturally appropriate and engaging. Our linguists are detail oriented and never overlook things like currency, appropriateness of graphics, colors, humor, etc. Learn more about multilingual marketing services. Your process becomes our process - and we manage the project for you. Rapport International partners with you. We provide full project management and work within your processes, and with your decision makers, to keep things running smoothly and deliver your project on-time and on-budget. We create a production schedule and work with your printers and designers to make sure everyone is on track. Or if you prefer we provide our own foreign language desktop publishers, layout experts, and printers. We have the experience, expertise and resources to make your job easier. Products, packaging, inserts and marketing messages evolve over time and need to be updated to stay fresh and relevant. We work with you on these updates as well as manage new releases of old SKU’s. We create a multilingual marketing plan that outlines which pieces of the new product need to be re-translated to save you time and money by avoiding duplicate or unnecessary translations. Your product catalog, whether it is in print or on your website, needs to look great and offer product information in every language. By using the right “lingo”, and consistent product names across catalogs, packaging, and brochures you avoid buyer confusion. Plus, an effective catalog that provides enticing and culturally appropriate information on each and every product will increase sales. Rapport International will make sure your product catalogs are understandable, correct, appealing, and culturally appropriate. Learn more about marketing translation. 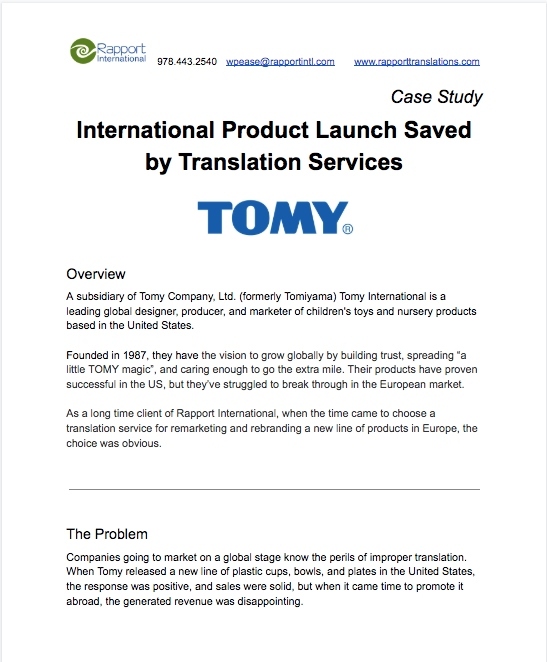 Learn more about how Rapport International helped one client market a new product in the international market with translation and multilingual marketing. "I hired Rapport International for a small translation job that they handled with ease and efficiency. I have also introduced Rapport International to international marketers who have used her services on more than one occasion and thanked me for the referral. If you or a company you know needs translation services you would be foolish to hire anyone except Rapport International." "My business spiked because of the Japanese website. I wanted to find out what it said so I called Rapport International. The project I presented to them priced out in the thousands of dollars. After their free consultation on what to translate the project became a couple of hundred dollars. I appreciated their honesty."